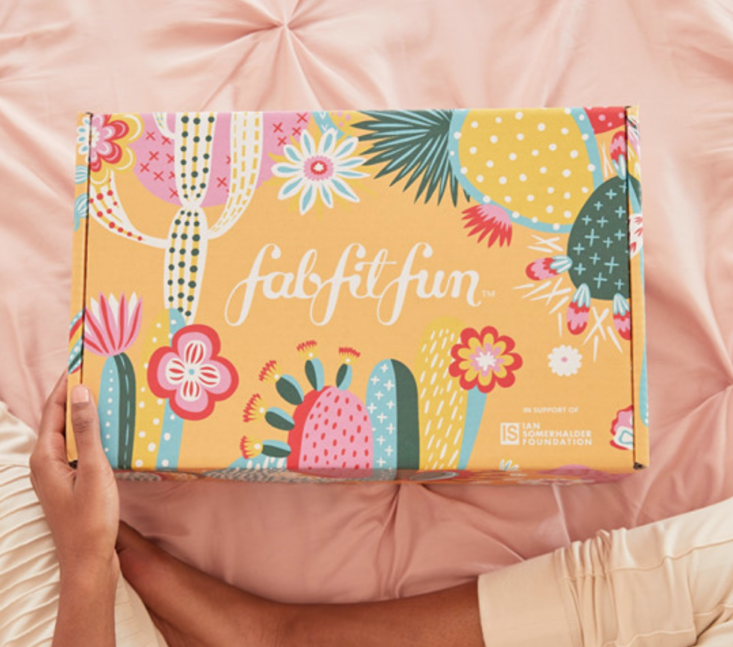 FabFitFun Spring 2019 Box Spoilers + Selection Time! FYI – Annual subscribers can select their items now, quarterly subscribers will be able to pick their items on the 9th. Choice: All subscribers will be able to pick Giadzy Copper Plated Measuring Spoons, Lavido Aromatic Body Lotion in Mandarin, Orange & Bergamot, or Mystery Item. Our OG oversized cat-eye features plastic frames with chic metal accents for an elevated look. This picnice set zips closed, and has pockets + holders for everything to stay perfectly in place. In addition to bringing this along on picnics, it could also be a great everyday item if you bring your lunch to work! The formula is designed to brighten the complexion, even out skin tone, and provide intense amounts of hydration. I’ve sampled this before and it’s amazing, With just one night I couldn’t believe how soft it made my skin feel. Plus, it’s ingredient conscious! Out of all the three spoilers, this one is my favorite – I love the brand, and this floral print is exactly what I need to look forward to Spring! The fabric is soft and lightweight, but not too sheer. The perfect weight for a Spring robe. This is a cream-colored canvas backpack with black vegan leather accents. Since this material is mostly canvas it is very lightweight and packs down well for travel. Product Care Instructions: 160ml water reservoir is BPA free and treated with Silver CleanTM Protection, which fights the growth of mold on the surface of the tank. Hand Wash only. This diffuser comes with a lovely orange essential orange blend! It has an on/off switch, and you can also turn on the light and watch the colors change! Check out our FabFitFun reviews to see what you can expect with this quarterly subscription box for women! so I guess I’ll just have to see what I get 😢. Luckily I like mostly all the options but it would have definitely been nice to chose. A lot of the add on items that I wanted just became available I went from $0 in add ons to $80! I’m really happy with everything I picked. I wish they had enough of the sponsor item for everyone though. I didn’t get one. It’s a cool and generous idea, but I think they should stock enough sponsor items for everyone in the future. I just need to know what dress or shirt you are wearing in the pics with the sunglasses. I cancelled my seasonal subscription of 2 years. Nothing interesting, mostly the same cheap Chinese stuff, choice items were unavailable to add for $10 (except for measuring spoons – who even needs those? ), add-ons are unexciting, as well. But I do like a lot of options. I almost bought the Korres mask during VIB sale so I’m glad to get it at a reduced cost. The box looks great. I chose all 3 for 1st option although I think the robe is designed for someone slimmer than me. I do wish subs would stop with jumpropes snd resistance bands. There are other products for fitness. I did mystery item, because neither of the known choices interested me. I want the sunnylife picnic set but I think I’ll be able to find one on eBay after the boxes are released for a good price so I went with the night cream. I wanted the picnic set for travel, my boyfriends dietary needs usually mean always having food in the hotel room so thought these cute travel plates would be nice. Also got the diffuser for travel as well. Has anyone ever purchased the mystery add on before? If so, what did you receive? It’s only $29 so I’m very tempted to take a chance on it. As expected, now that customization is open for annual subscribers, nothing but those copper measuring spoons or mystery choices are available as extras for $10 more. Very aggravating. I guess I should be glad I was able to get what I wanted for my first choice on the 3 customization options. But not sure that’s enough to keep me as a subscriber. So happy I was able to get the backpack and add on the diffuser and robe! Usually I can’t add on any extra items by the time customization opens for seasonal subscribers. I wanted both of the sunglasses but was only able to choose one pair, the other options in that category weren’t available to add on. I went with the cat eye sunglasses. It’s crazy because I have been having my eye on that exact pair from Quay for a looooooong time but didn’t want to buy them without trying them on first, not a lot of glasses look good on my face. And I have the aviators from the fall Popsugar box that I bought a few weeks ago when it was 50% off. So all-in-All I’m happy so far. Hoping I get the body brush and the S’well bottle, necklace is second choice. I won’t use the face wash, jump rope, or face powder. Sorry this is so long lol! I’m just getting a seasonal box b/c you got me hooked on boxes and I have 2 annuals already! I had to end up calling customer service as I couldn’t get anything to go through on their website today. But I could customize enough that I got the backpack I wanted the most. Thanks for the code! 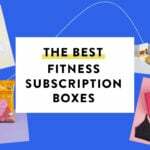 Hi ladies, totally off topic, but have any of you received your January box from CosmoBox? That was my first month and still have not received it. I’ve emailed Liz a few times without response. Funny how that box had been reviewed before on here. I decided to skip this one. I like it, I just don’t think there’s anything I really want or NEED. Great review, Liz! Liz, when you review this box, will you mention if there is a UV rating for the sunglasses? I am interested in trying to swap for them. I do know that they are not polarized. I tried to buy a pair at a sunglass store but opted not to because of that reason. Liz, you and the ladies are looking great! Wow…who is gonna pick a $5 daily concepts brush or a jump rope over Alan expensive skin care item? So I’m gonna miss out there…how lame…and I really want the robe and the korres, but so does everyone else, so that’s gone too…and then I’d pick the setting powder, but so will most people, and then I guess the lotion…..so wow my box is looking pretty crappy bc it’ll all be sold out. If I want to change an item, I recalled that it made me select it and the following options again and hit submit. For example, if I wanted to edit option #4, I will start at #4 and then have to do the next ones. I want to change my selection of the measuring spoons for the mystery item, but I’m worried that I will lose out on my aviator and sleeping mask add-ons and primary choices cuz they are “out of stock.” What are people’s experience after they edit their options? I am very excited about some of the items – but they are all the items I can’t chose as a seasonal subscriber. FFF was really good to me with my winter box. Out of the last three box items I couldn’t customize, I received two things I was hoping for. The problem this time is that I don’t like any of the other choices. I’ll be hoping I receive the items I like, or will at least be able to swap for them. This is a fantastic box I love everything besides the jump rope I would get use out of all the other item. I’m confused. Isn’t there supposed to be more than 6 products in the FFF box? Even without the add-ons, I always got way more than 6. There’s usually nine items; this post isn’t full spoilers, but someone commented a while back that the other three spoilers are a scrub, leave-in conditioner, and depuffing eye gel. Thank you! My sister gave a year subscription to my mother and when they chose the products yesterday, my sister didn’t understand why our mom would only receive 6 products. This box will have 8 products. Has anyone noticed something different with add ons? I stalk them like crazy, but this time, it seems like everything is available pretty easily. I know people mentioned higher prices, and a lot of repeats, but it just seems odd. I’ve never had this little trouble getting what I wanted. Thoughts? Seems like a good problem? I wouldn’t question it. I think the prices have gone up a bit and people, like myself, are on product overload already. If there’s anything you can’t get but really want wait until the last few hours of the sale and mostly everything becomes available again.. At least in my experience. I just wanted to comment to say that you look amazing in these shots, and both sunglasses work so well on your face shape. Liz, your green dress/top (or what I can see anyway) in the sunglasses pictures is gorgeous!! Where did you get it/what brand? She said Forever 21 in an earlier post. Does anyone know when full box spoilers come out? Diane commented earlier the three remaining spoilers (depuffing eye gel, body scrub, and leave-in hair conditioner). Oh. I would love a depuffing eye gel. Got the robe and backpack, aviators, powder, dry brush, and a mystery item. I hope the robe fits petite sizes. I will choose the cat eye sunglasses, backpack, robe, lotion and I hope for the S’Well bottle and brush. From what I read on the community board, many add-ons sold out very quickly. I hope I can get a couple of things. Being seasonal I’ll have a few surprises. I’d use the Tula, and I can give the necklace to someone, but anything else would go straight to the donation pile (so a 2 out of 3 chance I get stuff I actively don’t want.) Of the spoons/lotion/mystery option I’d probably take the mystery, also leaving me open to something I don’t want. Of the three additional items, I would only want the scrub. So robe and sunglasses I like but don’t need, scrub I can make at home, and possibly a box full of stuff I send to Salvation Army? Not sure it’s worth $50. You should join MSA swaps! 🙂 I almost get excited when I receive things I don’t want, because then I can try to swap for things I want from subs I don’t subscribe to/ missed out on. FFF has been killing it with their recent boxes but this one is chock full of misses for me. The only things I’m interested in are in the same two clusters so I’ve got to buy 3 or 4 add-ons to curate a box I like. I’m bummed but you win some and you lose some. We are all so different it’s so hard to please everyone at the same time. I really disliked the past 2 boxes, but this one I love so far. What happened to the curation?? It seems like FFF went to TJMaxx and grabbed a bunch of stuff from their warehouse and put them in a box. Sadly, this is the last box on my annual and I won’t be renewing unless they step up their game. The last couple boxes were great. This box – not so much. Just curious- what did everyone get for their mystery item last box? Trying to decide between mystery and spoons. Thanks!!! I received a full-size Way of Will Brightening Face Serum (RV on the WoW site is $37.50). Hope that helps! I received a Way of Will Brightening Serum (RV $37.50). Same. Well technically I ordered the coasters, but they were broken. They sent me the mystery gift which ended up being the serum. The spoons have too many cons for me (raised handles, no 1/8t, hand wash only) so I went mystery item. I figure even if I don’t love the mystery item it’s still better than the other two options I know I’ll never use. Read the comments about the spoons. Their use is very limited and they aren’t dishwasher safe. I could use decent measuring spoons, but not those! I just wanted to say I really loved this post and found it so helpful. I’ve followed your site for almost as long as it’s been around and appreciate how the quality of your posts and the photography keep getting better each year. It was so helpful to see your photos that show things like where the necklace hangs when worn by an actual human, the scale of the backpack and the length of the robe. It really helped with my choices, so thanks! I kept checking and today got the deodorant that was sold out. I am still keeping an eye out for the Glamglow bubblesheet that came in the Fall box. I loved that mask for some odd reason but it’s still sold out. When do the full spoilers come out? Are we able to get the other sunglasses for $10? Can I ask what you didn’t like about the Tula? I was leaning towards it. I also have a jump rope that I don’t use lol. But also also have a kind of similar body brush. I’ve been looking at reviews for quay sunglasses and they seem pretty terrible. Anyone have personal experience? A couple years ago People magazine did a box in conjunction with The Voice which included Quay sunglasses that were pretty decent. I don’t know if I’d ever pay retail for them (but that’s more due to style than quality – I have a small face and their glasses seem to be on the larger side and if I’m going to pay more than $20 for brand name glasses I expect them to fit just right). They certainly seemed better than the $10 drugstore sunglasses though. Sorry, that’s not super helpful, but my takeaway was they were certainly decent. What I noticed was they had a Prop 65 warning on both pairs- no thanks! Sunglasses are required to have that warning due to BpA used in polycarbonate lenses. Check any store selling mid to low price sunglasses and you will find the warning. But BpA is only potentially carcinogenic when ingested so a pretty ridiculous requirement for adult sunglasses but a silly law in California nonetheless. I won a Popsugar box a few years ago with Quay aviators and they’re still great. I keep them in the soft case it came in and haven’t it broke yet! My annual sub. expired after the Winter box. I know a lot of people will love a box full of random things, but there is absolutely nothing at all I’d ever use in the choices. I like rose scented products just fine and I think this particular Korres product has an ” off” scent to it. The s’well bottle is smaller than the s’well bottles I have, must be a special small size? IDK. Dodged a bullet. Not one single ” hero” item, just like RZ BOS sad sad random box. I agree. What makes a sub box fun for me is the curation–the time and effort the company put into finding new/cool/fun items that seem somewhat cohesive. Things I wouldn’t find easily for myself. I don’t want a random pile of stuff that I could buy at TJ Maxx. It’s too bad, because FFF has good sales and a fun community, but the box just isn’t a fit for me anymore. This will be my last box with FFF(I’m 39 and maybe I’m just not in the demo for subs anymore? ), but this is turning out to be an okay box. I’ve already dumped half my add-ons, but I think I’ll splurge on some Murad for my last dance. I got rid of the Carilyn(?) peel pads because I realized they are just little textured exfoliating pads and I’ve found those things(different brands I’ve tried) have nothing on just using a washcloth. The only extra item I nabbed were the cateye sunglasses. I usually spend about $8 on discounted LOFT sunglasses, so I figured *meh* $10 for something different. Did we ever get an answer as to whether the robe has pockets? Doesn’t appear too… I don’t know how they can say this robe fits 0-16. It’s going to be like wearing a sheet if it’s that big. 😒We don’t need more scrubs, FabFitFun. The scrub was in that “this or that” poll a while back with the natural deodorant, so I’m happy the scrub won. I love scrubs, too. They’re just so easy to make at home. The used grounds from every batch of coffee I make either go into my garden or are mixed with sweet almond oil to make a coffee scrub. This is going to be an amazing spa box for me! Thank you! How do you know these are the others? I swear by that Ouai conditioner! It is really great. Maybe I’m just burned out on sub boxes but all of these spring box spoilers are disappointing to me. I guess that’s a positive for my budget but I was looking forward to at least one awesome box of goodies. Glad everyone seems to be pleased with the items though. The last awesome box from FFF was the summer one with the foreo and tarte palette. Oh no. I already have 2 unopened eye gels (exact same kind) from other subs. I only use anti-wrinkle eye products and on the rare occasion my eyes are puffy I use an eye mask (my fave is Erno Laszlo). I also have 2 travel sizes of the conditioner but I don’t mind getting extra. If I don’t use it my sister will appreciate it. I’m down to 2 or 3 scrubs so I’m ok with that. Nothing exciting for me though. Not even in the rest of the box. A few things will be used or gifted but I don’t think I will resub this year. I just haven’t used most of the stuff from the last few boxes. It will break my heart to not have access to their sales (which always have TONS of stuff I like), but luckily those prices seem to be going up anyway. It will always be a good value overall but it’s just not worth it for me anymore, especially with my gigantic stash of beauty products I’ve gotten from all my sub boxes. Time to cut back on my addiction. Sounds good to me! I think this box is going to be awesome! I think I must bet the only one who is so excited about the mini picnic pack – I wish there was a way I could get another! If you end up with it, I’d love to swap for 1-2 more. We do a lot of impromptu trips, and these are great for late night cheese and cracker snacks. Nope, I’m excited for it too! 🙂 I think they offered it as an add on at some point and I almost bought it then, so now I’m happy to have it. Honestly it’s just about the only thing I’m excited for. That and some of the sale items. I’m kind if meh about the rest of the spoilers. Me too! I was so-so in it until I saw this MSA post and I could totally use it for work lunches! My mystery item last time was a $35 face serum so I’m hoping this one is good too! Everybody else seemed to get an awesome mystery item. They gave me a highlighter pen and some mascara. Ugh. I was soooooo bummed because everyone had already been posting they got the serum.